The first trailer for Venom was released earlier this year and to say the response was mostly negative would probably be an understatement. As well as seemingly making it clear that the movie won't be sticking even remotely close to the comic books, there wasn't even a hint of the titular symbiote; instead, we just got to see Tom Hardy doing a lot of stuff and talking with a questionable accent. Now, a new rumour is doing the rounds that we won't actually see more than a couple of minutes of Venom in, well, Venom. Instead, the symbiote will mostly manifest itself via black veins on Eddie Brock's arms and as tendrils and even a shield during a car chase. It won't be until the very end of the movie that the alien forms a suit around its host but even that will only be for a battle lasting a couple of minutes against the lead villain described as a scientist also infected with an alien symbiote. Nothing is confirmed right now but based on what producers Avi Arad and Matt Tolmach did with The Amazing Spider-Man movies, it's all easy to believe and points to an underwhelming solo outing for the fan-favourite Marvel Comics character. Throw in the fact that it has only a modest budget and the lack of Venom definitely makes sense. What do you guys think? Feel free to weigh in in the usual place. An entire plot outline for Venom has found its way online so we've broken it down for you to delve into all the biggest twists and turns and it's fair to say that if this is accurate, the movie will bomb! Ever since superhero movies became one of the hottest commodities in Hollywood, they've been plagued by plot leaks which have found their way online. Some of those are accurate and others are quickly dismissed as total BS but the plot outline which is currently doing the rounds for Venom is definitely interesting. It's also very easy to believe and lines up with a lot else we've been hearing. Now, there's no guarantee this is legit and we'll leave you all to make your mind up on that but it still leaves us with plenty to talk about and is, unfortunately, sure to upset a lot of comic book fans. Director Ruben Fleischer and star Tom Hardy have promised that Venom will make fans happy but they're either towing the company line or completely disconnected to what fans want from this character. Anyway, you can check out the full (rumoured) breakdown of Venom's plot by clicking below and once you've done that, feel free to let us know your thoughts on it in the comments section. 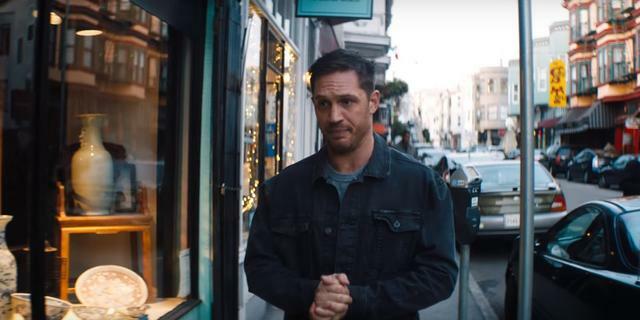 Venom reportedly begins with Eddie being released from prison on early parole. There's no word on what he's in for or if he was still a journalist once upon a time but this is obviously a departure from the comics. Sure, the villain spent many years in and out of prison but before that, he was a mostly honest reporter who only turned on the world when Peter Parker/Spider-Man outed him as a fraud. We know that Eddie's wife (played by Michelle Williams) will be making an appearance in Venom but apparently, he has a daughter too! She doesn't recognise her dad when they cross paths again and it sounds like the movie is going to deliver a pretty cliched story when it comes to how things play out. The government will use them to try and get to Eddie and he'll ultimately save them. Does any of that sound familiar? Well, it should because it's the plot of pretty much a hundred other movies out there! Devastated that his daughter didn't recognise him, Eddie goes on a bender and ends up passing out in the woods. While he sleeps, space debris lands nearby and the symbiote emerges from the wreckage and ends up bonding with him. The government arrives to quarantine the crash site and a second symbiote attacks a scientist while a third is captured. Eddie, meanwhile, attempts to escape the area but winds up being captured and taken into custody as he's stumbled on something he shouldn't have. The movie's villainous scientists - presumably The Life Foundation - start performing experiments on Eddie and the symbiote eventually makes itself known and kills a bunch of them leading to the ex-con attempting to escape the facility. As he does, the alien starts showing off its powers, including dozens of arms/tendrils which take out the guards and help Eddie makes his way to San Francisco. Apparently, the symbiote manifests itself as black veins on Eddie's arms and neck and only actually makes a physical appearance as the extra limbs mentioned above. There is, of course, precedent for that in the comic books but this is sure to disappoint fans hoping that a movie titled Venom would actually feature a lot of Venom. Then again, this explains why he was nowhere to be seen in the teaser. Finding the government waiting for him at his wife and child's home, Eddie once again goes on the run and what follows is a car chase which sees him manifest a shield using the symbiote that he uses to knock cars out of his way. However, after learning that the government has his family, he's forced to go back into custody where it turns out a third symbiote has been placed in containment. When Eddie's Venom symbiote sees that third symbiote, it loses it and finally forms the costume from the comic books over him. The alien in containment breaks free, takes over the scientist, and it's on! It's not made clear if this is the Carnage symbiote but we know from the source material that these aliens have their own personalities back on their homeworld, so there's a very good chance these two are enemies, hence why the fight breaks out. Either way, Venom makes short work of the scientist he does battle with and as we mentioned above, Eddie and his family are able to escape. Right at the end of the movie, that dead scientist who was taken over by a second symbiote is revealed to be alive. This scene clearly takes place to set up a sequel but why should we care? This plot leak doesn't make that clear but with no chance of Spider-Man showing up, Venom is going to need someone to do battle with and that's presumably why this symbiote is shown to be alive and kicking. This supposed leaker claims that Venom only actually shows up for around two minutes during the final fight. Rumour has it that the movie has a very modest budget so this does make sense but Sony has to know that this is going to lead to a lot of criticism and disappointment among fans. 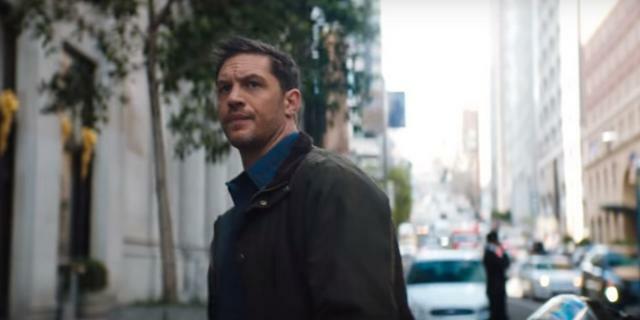 Sparked by Sony's first, questionable teaser trailer, rumors that Tom Hardy's Eddie Brock wouldn't actually be suiting up in a full Venom symbiote suite have spread across the internet like wildfire. There's been a ton of rumors in the world of superhero films recently. Things started with leaks that James Wan's Aquaman movie had very strong test screening scores, only for those reports to more recently have been refuted. Fandom attention then turned to Deadpool 2, which reportedly had a disastrous early test screening, only for film sites to quickly refute those claims, citing insider sources claiming the film scored in the 90s and only suffered from a Mandarin-esque Iron Man 3 twist. The latest rumor concerns Tom Hardy's Venom movie, which reportedly featured very little of Tom Hardy sporting the anti-hero's full costume. 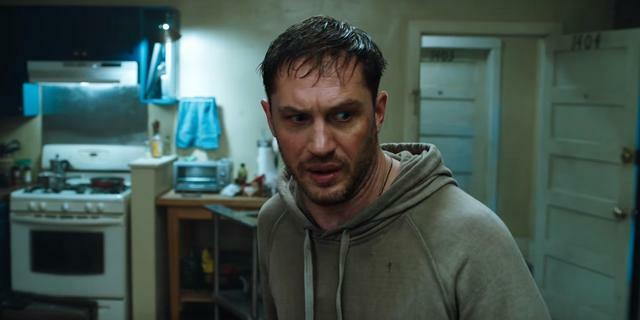 This rumor appeared to have a little more solid backing as Sony's first trailer for the film didn't feature any shots of Hardy in the symbiote-based costume, leading to some fans to joke that Sony made, "Tom Hardy: The Movie." Well, take a look at Hardy's Instagram post from a few hours ago. He makes mention of "asinine myths" circulated by those who don't have "credible intel." That certainly reads like an esoteric debunking. Sony recruits Black Panther composer Ludwig Göransson to score Venom. Now that Spider-Man’s successfully been rebooted within the Marvel Cinematic Universe, Sony is looking to move forward with their own villain/antihero Spidey universe. To kick off this new attempt, they’ve landed Tom Hardy to play Eddie Brock in Venom. The first Venom trailer took a less is more approach when it comes to marketing the Symbiote, which has left many questioning Sony’s decisions. However, on paper, Venom should be a great. Hardy playing the antihero is a great get, and he’s got the likes of Riz Ahmed, Michelle Williams, Woody Harrelson, and others in support. The film is being helmed by Zombieland director Ruben Fleischer too, and he’s got a great crew that helped him through production without any reports of trouble so far. And now they’re adding even more talent to the picture. Deadline reports that Black Panther composer Ludwig Göransson is set to score Venom for Sony. Ludwig’s work on Black Panther is one of the rare MCU scores to receive praise, especially for his Killmonger theme. Even though Göransson is closely tied with Coogler – he scored Creed and Fruitvale Station as well – this move actually marks a reunion between him and Fleischer, after previously working together on 30 Minutes or Less. In all of his work, Göransson’s shown the ability to adapt his talents to the style of movie he’s working on. He’s spoken many times about how he traveled to Africa to study music there in an effort to make the music of Black Panther and Wakanda sound authentic. He won’t have to go to such lengths to give Venom a proper score, but this could be a chance for him to do something new again if he takes the reported horror/sci-fi approach to heart. Plus, it would be interesting to hear what theme Göransson gives Hardy’s Eddie Brock as well as Venom. After all, Göransson takes inspiration from the iconic composers of old, such as John Williams and Alan Silvestri, and establishes themes for each central character and arc. What this also hopefully means is that Göransson is starting work soon (if he hasn’t already), and that this work could be potentially heard soon in a new trailer. There’s bound to be a new trailer in the coming months – if not weeks – so Sony can put a better trailer in front of the summer movie slate. 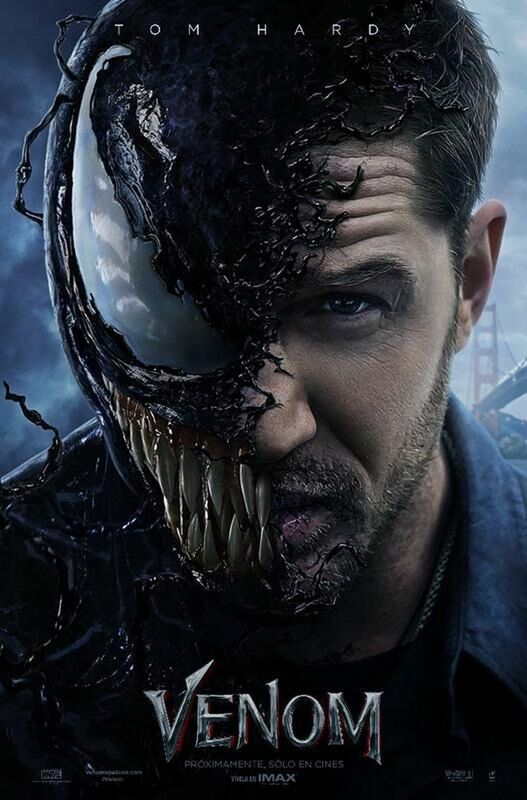 Whenever it does arrive, fans could start to hear how he plans to make Venom sound, or even if he’s developing a recognizable and unique theme for Hardy’s anti-hero. If Black Panther is any indication, Venom is going to have a score that viewers will want to hear over and over. A possible leaked Venom promo image from Brisk has surfaced online, potentially giving us our first look at Tom Hardy's symbiotic alter-ego from Sony's upcoming Spider-Man spinoff. Check it out! Sony's upcoming Venom solo film hasn't had the easiest marketing ride thus far; the first trailer wasn't received very well by those who were hoping for a tease of the title character, and a recent rumored plot synopsis pointed to Eddie Brock's alter ego hardly being in the film at all! Now, it appears our first look at the popular Spider-Man villain might be through...a leaked Brisk bottle! The promotional image in question has surfaced on Tumblr, showing half of Venom's toothy grin on the bottle for the Dark Cherry Limeade flavor of Brisk. While this hasn't been confirmed as official, the bottle does sport the film's official logo and the character's eyes certainly match what we've seen in the film's teaser poster. It's worth noting that Brisk previously partnered with Marvel for Black Panther earlier this year. Check out the promo art below and let us know your thoughts! Is Carnage in Venom, the film featuring Tom Hardy as everyone’s favorite lethal protector? There have been rumblings that the character would pop up in the Ruben Fleischer-directed film, and now a new rumor suggests that Woody Harrelson will be playing the character. More on the Woody Harrelson Carnage rumor below. Take this rumor with a nice heaping dose of salt, but Bleeding Cool claims to have learned that Woody Harrelson is playing Carnage in Venom. A source has told the site in “a very confirm-y way that not only is Carnage to appear in the upcoming Venom movie but, yes, he will be played by Woody Harrelson.” There was a long-running rumor that Venom cast member Riz Ahmed might be playing Carnage, but reports indicate Ahmed is actually playing a character named Dr. Carlton Drake. Harrleson’s involvement in Venom was announced in December 2017. At the time, word had it that Harrelson was playing “a henchman of sorts” – which seems to contrast with this new report that he’s playing Carnage. In the comics, Carnage is a serial killer named Cletus Kasady, who is infected with the same sort of alien symbiote as Venom. The Carnage storyline received the video game treatment in the 1994 game Maximum Carnage, which has a pretty killer theme song. Venom focuses on Eddie Brock (Tom Hardy), the host of an alien symbiote that gives him incredible powers. In the comics, Eddie Brock/Venom was an antagonist to Spider-Man, but Spidey will likely not be appearing in this standalone film. Venom was previously brought to the big screen by Sam Raimi in Spider-Man 3. Specific details regarding Venom are still under wraps. What we do know know is that the Venom film is inspired by two specific comic storylines: Lethal Protector and Planet of the Symbiotes. In Lethal Protector, Venom turns from regular Spider-Man protagonist into an anti-hero. Venom also teams with Spider-Man to defeat five new offspring of the Venom symbiote. In Planet of the Symbiotes, an army of symbiotes invade earth. Carnage appears in that story, which might carry over into the Venom film. I suppose the question one should ask now is, if Carnage is in Venom, how big a part will he play? Will he be the main antagonist, or is Venom setting Carnage up for a bigger appearance in a future film? There’s only one villain Venom fans are desperate to see take on Eddie Brock’s tongue-slavering symbiote: Carnage, a homicidal maniac whose rampages have brought Marvel’s greatest heroes to their knees. The sociopathic Carnage is best known for 1993’s “Maximum Carnage” event, in which he cut a bloody swathe through New York City. Now, at long last, he’s set to make his live-action movie debut later this year. As important a character as Carnage may be, he’s not going to be the main villain of the film. According to the latest rumors, Carnage will be played by Woody Harrelson, an actor who joined Venom late in production. That suggests Carnage will only play a minor role, and that Sony is saving a major appearance for further down the line in their Spider-villain cinematic universe. It’s a fact that’s sure to disappoint some who are eager to see the two symbiotes go head-to-head. It’s also a massive mistake on Sony’s part – the reality is that Carnage would be a far better villain than the ones Sony have planned. It’s now clear that the Venom arc is largely inspired by one of the symbiote’s most popular miniseries, Venom: Lethal Protector. That means the villains are a ruthless company known as the “Life Foundation.” In the comics, the Life Foundation believed the end of the Cold War would bring about a nuclear holocaust. The wealthiest could buy a place in their bunkers, where they would be guaranteed a chance to survive the end of the world. The Life Foundation became obsessed with Venom when they learned his symbiote could spawn; in the eyes of the company’s insane leaders, the prospect of symbiote guards was ideal. 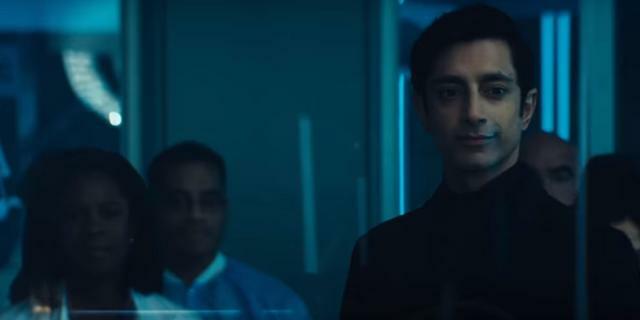 The company’s CEO is Carlton Drake – and Riz Ahmed is confirmed to play Drake in Venom. Naturally, given that this is an origin story, the Lethal Protector arc has been rewritten. The first promotional image teased that journalist Eddie Brock is investigating the Life Foundation, which is presumably how he will end up playing host to the symbiote. It seems there are allegations the Life Foundation recruit the most vulnerable to test their “pharmaceuticals,” and Brock is taking these claims seriously. His investigation will lead him to become one of their test subjects, forced to bond with the Venom symbiote. Lethal Protector saw the Life Foundation create five other symbiotes, and they’re likely to appear in the film. There’s a tradition for superhero films to use “mirror image” villains like this; Iron Man takes on another man in armor, Flash struggles against super-speedsters, and Wonder Woman duels with gods and demigods. As Marvel’s Kevin Feige explained, this allows the superhero films to develop one consistent narrative, while the villain becomes a representation of the hero’s dark side. Venom himself was introduced as a “mirror image” villain, a twisted version of Spider-Man who ultimately became an antihero in his own right. These five symbiotes will likely be the villains of Venom, monstrous beings who serve Carlton Drake’s insane plans. WHAT IS CARNAGE’S ROLE IN VENOM? But that raises one difficult question; what, then, is Carnage’s role in the film? Back in June last year, Sony CEO Tom Rothman confirmed that Carnage would appear in the movie. Fans initially believed Ahmed would be playing Carnage, but the latest rumors suggest Woody Harrelson is the man to watch. Harrelson joined Venom when the film was late in production, and was initially described as a “henchman.” That’s an important clue as to his role. It looks as though the Life Foundation have recruited Cletus Kasady as one of their agents. If that’s the case, the film is sure to feature some tense scenes in which the homicidal Kasady demonstrates his nature. It may even be that some of Eddie Brock’s nearest and dearest will become Kasady’s targets – perhaps even Brock’s ex-wife, Anne Weying. There are actually rumors the movie will end with Brock committed to San Quentin State Prison, where he and Kasady will be cellmates. A fragment of Venom’s symbiote will break off, making its way towards Kasady – and the film will fade to black. This would be a fairly accurate reproduction of Carnage’s comic book origin. What Will Tom Hardy’s Venom Look Like? Sony’s taking a big risk with Venom, their first foray into stand-alone films starring Spider-Man’s rogues gallery, but not the wall-crawler himself. Like the upcoming Silver & Black, Venom may or may not be set in the MCU. There’s a lot riding on the Ruben Fleischer-directed film, as it’s one of very few R-rated superhero films, and one of fewer still which focuses on a primarily villainous character. Furthermore, Venom is a fan-favorite anti-hero, and his fanbase is very wary of attempts to translate him from the page to the screen; Sam Raimi played a key role in the modern superhero renaissance, and even he couldn’t quite nail the character. Fans generally rejected Topher Grace’s take on Eddie Brock in 2007’s Spider-Man 3, but Sony is giving it another shot. The first trailer for the anti-hero’s first live-action solo film was met with criticism due to its generic imagery and ‘smoke and mirrors‘ storytelling instead of offering any concrete details on the film. Who is the villain? Unknown. What is Brock’s motivation? Unknown. What is the movie about? Unknown. One final, extremely important question also went unanswered: What does Venom look like? The much-maligned teaser clip can be partially excused for its lack of big reveals due to dropping in February, a full eight months before the final release date. The closest thing to a genuine reveal seen in the trailer comes at the very end, in the form of a logo, which appears similar to the recognizable Venom face from the comics, complete with large, white eyes and gnashing teeth. Of course, it’s only a teaser image, and isn’t necessarily representative of what audiences will see in the finished film. Viewers are also treated to a look at what appears to be a crashed alien spaceship, which is likely the source of the infamous black goo. 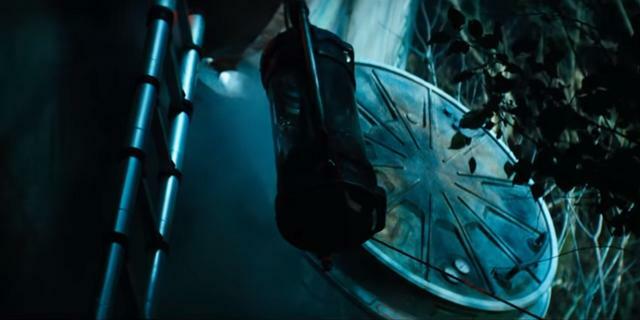 It is then shown, contained in a glass canister, in what may be the only shot in the trailer with what appears to be finished CGI effects. Basically, viewers hoping for even a tiny peek at Venom in that trailer came away severely disappointed. Despite the lack of answers, there are clues as to what audiences can expect when the movie hits theaters in October. There are shots in the trailer which are clearly meant to include CGI effects, such as the moment where a bunch of office workers are scattered by an invisible force. Presumably, the “invisible force” will be revealed to be Venom’s symbiote tendrils in the finished film. Also, a lot of the car chase action shown in the trailer will likely be enhanced by computer animation showing off Venom’s powers. There’s also a moment while Eddie Brock (or Tom Hardy’s stuntman) is riding a motorcycle through a crowded city street while two large vehicles crash behind him, possibly as if they were pushed back by some unseen force. Could this also be a moment where Venom’s tendrils lash out at potential threats? Or will the symbiote be able to separate from its host, take down the vehicles, and then return to him? What if Eddie is not on the run from human opponents, but from Venom itself? WHAT WILL VENOM LOOK LIKE? Venom is one of the most visually arresting comic book characters in Marvel’s stable. He’s usually depicted as a muscled-out mass of alien material covering Eddie Brock’s body. In the comics (and Spider-Man 3), the symbiote originally took over the shape of Spider-Man’s suit before adopting the powers of Spidey himself. After Peter Parker rids himself of the vile creature, it attaches itself to Eddie Brock, giving the disgraced journalist twisted versions of Spider-Man’s powers, including his super-strength, wall-crawling, and web-shooters. In Ruben Fleischer’s film, Spider-Man is not expected to make an appearance (probably), so it’s likely that Venom’s powers will be altered. Super strength and reflexes will probably make the cut, but it’s unlikely that Tom Hardy will have access to Spidey’s signature web-shooters, since that would be pushing suspension of disbelief just a little bit too far, unless they are altered enough to seem more original to the symbiote rather than a Spider-Man rip-off. In the comics, Venom has three distinct physical characteristics; his imposing size, his ghastly tendrils, and his slimy tongue. He’s usually depicted as larger than a normal man, but not gigantic like The Incredible Hulk. He’s also particularly muscle-bound, even by the standards of superhero comic book characters. In Spider-Man 3, Venom was certainly larger than Spider-Man, but not quite the hideous creature from the comics. It still retained the basic shape of Spider-Man’s suit, although it did possess the comic book character’s signature white eyes and a wide, monstrous mouth full of razor-sharp teeth. Will Tom Hardy’s Venom lean all the way into the comic version of the Symbiote? Or will it go in its own direction, borrowing core ideas from the comics, but applying its own style to the well-known design? Venom, due to his extremely muscular frame and unique proportions might not work well as a man in a suit, although the general shape is not drastically different from Hardy’s most bulked out appearance in movies like The Dark Knight Rises or Warrior – only even bigger still. To that end – and hinting that the character may look accurate to the comics – it has been reported that Tom Hardy is doing motion capture work for the Symbiote creature, meaning Venom will mostly be a CGI character in the film. Speaking of consuming his prey, one of Venom’s most iconic physical traits is his long tongue. Comic book panels love showing his tongue flailing about outside his mouth, usually accompanied by an uncomfortable amount of drool and slime. This was one aspect where the Spider-Man 3 incarnation was somewhat lacking. Even with the comics-accurate mouth and teeth, Venom’s face just didn’t look right without that insanely oversized tongue. If Venom is as cannibalistic in the upcoming film as he is in print (read Venom: The Hunger), then audiences can look forward to some nasty bits of man-eating violence and gore. Of course, if Venom is more of an anti-hero than an outright villain, at least fans will take comfort knowing that his victims probably will have deserved their grisly fate. Hopefully, Tom Hardy’s Venom will have a giant tongue to go with his massive teeth and huge eyes. There’s a lot riding on Venom. Ruben Fleischer is a talented director with a variety of high-concept, well-received films under his belt: Zombieland is a cult classic, and Gangster Squad is an underrated gem of a film. Tom Hardy is one of the biggest stars in the world, though he hasn’t really led a successful blockbuster on his own – he was part of a large ensemble in Dunkirk, and Mad Max: Fury Road clearly belonged to Charlize Theron. Despite his undisputed status as an A-list star, Venom could be his long-awaited breakthrough role as a full-on leading man. The only problem is, audiences don’t even know what Venom will look like. What if he looks dumb? What if he doesn’t look exactly like how they want him to look? Internet people tend to get worked up over that sort of thing. Hopefully, fans will finally get a real look at the character as soon as the next trailer releases… Maybe in front of Avengers: Infinity War? Well it doesn't look like they are going the Agent Venon aka Flash Thompson Venom as some people, including me previously thought. I'm not sure how I feel about this story or the CG but I'm keeping an open mind. The CGI suit reminds me of the awful Spawn movie with Michael Jai White. They coulda done better. We'll see how it goes. Following the release of the first full-length trailer for Venom, we're taking a closer look at all the biggest reveals from that and what they tell us about this solo adventure for the sinister symbiote. Late last night, the first full-length trailer was released for Venom. The teaser wasn't well-received by fans and while it's still apparent that we can expect some major departures from the comic books here, it's fair to say Sony has gone some way in redeeming themselves with this effort. After all, there's a lot of great action on display here and the symbiote is portrayed pretty much perfectly for the most part. We've now taken an in-depth look at the new footage to touch on all the biggest reveals about the story and the ways this movie is homaging the source material with how Eddie Brock is portrayed. There's a long time to go until October but it looks like Sony is going to put a lot of effort behind promoting this one so we'll no doubt see lots more in the months ahead. For now, to check this list out in full, all you have to do is click on either one of the buttons below. Once you're done that, be sure to share your thoughts on the trailer and everything we've found in it in the comments section. Forget Spider-Man; this trailer makes it clear once and for all that the symbiotes arrive on Earth via a crashed spaceship or satellite of some sort. In fairness to Sony, that's a heck of a lot easier than trying to explain that the wall-crawler brought it back to Earth with him after visiting The Beyonder's planet but it wouldn't have hurt for there to be some mystery surrounding where exactly it hails from. This approach is also quite a bit better than what we got in the Ultimate Universe where it was revealed that the symbiote was created by Peter Parker and Eddie Brock's fathers to cure cancer! It's previously been reported that Venom is inspired by the Venom: Lethal Protector comic book series which heavily featured The Life Foundation. It also pitted Eddie Brock against a number of symbiotes and we see here that a number of the aliens were retrieved from the crash site. Whether or not Carnage is among them remains to be seen but there's a very good chance we'll see characters like Scream, Riot, and Agony appear in some form in this movie for Venom to do battle with. Make no mistake about it, this may very well be the most important part of this trailer. 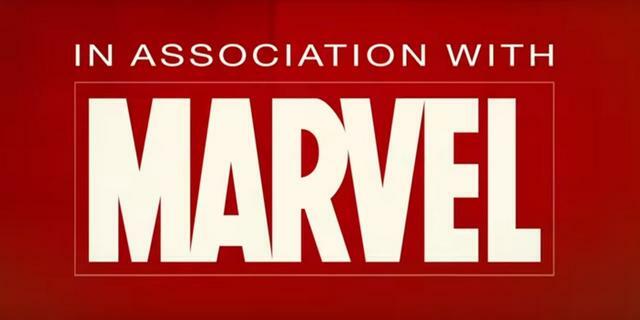 While the Marvel Studios logo has always been put in front of movies set in the Marvel Cinematic Universe, the standard Marvel logo has accompanied the adaptations released by studios like Sony and Fox. The key change here is that "In Association With..." has now been added to that and it's hard to say whether this has something to do with Sony's deal with Marvel Studios regarding Spider-Man or something which will become a staple moving forward to differentiate MCU and non-MCU releases. As expected, Ann Weying appears to be a lawyer in Venom and it sounds like her firm represents The Life Foundation. There's no mention of a child here and it doesn't seem as if they're ex-husband and ex-wife so that may very well debunk the reports we've heard in regards to their dynamic here. In the comic books, Eddie Brock is, of course, a reporter who winds up being fired after Spider-Man exposes him as a fraud. While he's by no means a bad guy there, he is rather dishonest and gets his just desserts when he loses his job (something which ultimately sets him on the path to becoming Venom). This version of the character definitely seems a little more honest but given the presence of a camera crew when he's interviewing Carlton Drake, he may not be a traditional newspaper reporter. Given the way journalism has changed in recent years, it makes sense that he's a blogger or something similar. Aside from confirming that The Life Foundation is based in San Francisco, this trailer doesn't tell us a whole lot about the company beyond the fact it clearly doesn't have a very good reputation and is rumoured to have kidnapped people in order to do experiments on them. They sound pretty sinister but what's going to separate this group from any other villainous organisation isn't clear. Carlton Drake clearly isn't a nice guy and it seems he has some big ideas for how the symbiotes should be used. Believing they're the next stage in human evolution, don't be too surprised if he winds up testing these aliens on himself! After all, once his experiments go wrong and he becomes more and more desperate to put Eddie Brock down and gain the same sort of powers he has, he'll likely do anything. Unfortunately, everything we've seen of Drake so far points to him being a somewhat generic bad guy so here's hoping the talented Riz Ahmed is able to elevate the material and make a difference here. Venom has been portrayed in a lot of different ways over the years. However, the symbiote has frequently been shown as a separate entity of sorts which communicates with Eddie and exerts its will over him. That's something which is clearly going to play out on the big screen too but who is voicing Venom? It certainly doesn't sound like Tom Hardy but seems like a fitting choice for the anti-hero. Even at the end of the trailer when the two have fully bonded, we hear what sounds like the symbiote's voice rather than a mixture of it and Eddie's. In fairness, I'm just thinking back to how the character was portrayed in the 90s TV series and there's no real right or wrong way to handle this. 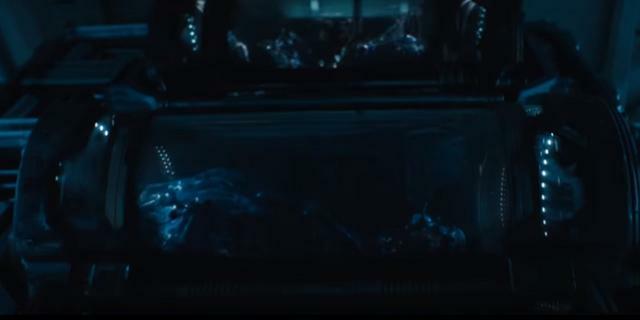 It's been rumoured that the vast majority of Venom will see Eddie Brock unleashing the power of the symbiote via tendrils as opposed to fully suiting up but goes this scene confirm that or just show us his initial reaction to learning that the alien he's bonded with has some unexpected powers? It's hard to say for sure but they do look cool and will clearly factor into a lot of key action scenes. For example, that shot of Eddie on the bike shows these tendrils coming in handy but here's hoping that final shot of Venom is indicative of what we'll end up seeing for a good chunk of this movie. The fact that Eddie starts talking about himself as "we" is a very nice nod to the source material and something it's a relief to see hasn't been ditched here. Considering the fact that the movie's tagline is "We Are Venom," we probably should have suspected this would be the case but you never know with Sony so it's obviously a massive release to have that confirmed with this full-length trailer. As the symbiote attempts to show Eddie who is boss, the journalist tries to make it clear that the only way he's willing for them to work together is if they hurt bad people and no one else. That's got to be a nod to Venom's stint as a Lethal Protector but will Eddie ultimately be swayed by his symbiote's darker nature? I'm thinking it could be hinted at but this movie is probably going to wrap up with him swinging off into the night ready to protect the innocent from the likes of Carlton Drake. Well, it's hard to fault this in fairness. While every comic book fan will probably have a preference for how Venom should look, it seems Sony has nailed the character's look here. Eddie seems to increase in size as the symbiote covers him and as well as the massive teeth, he also has the trademark tongue (with a little bit of spit coming off the end in what's a clear nod to the source material). Venom definitely looks alien and while there are similarities to the version we got in Spider-Man 3, he definitely looks better here and with it clear that the special effects aren't quite finished, we can probably expect his appearance to improve over the next few months as post-production continues. What we don't see here is whether or not Venom has that trademark white symbol on his chest. Then again, as Spider-Man doesn't exist in this world and has no ties to the symbiote, why would he? There does appear to be some white in the costume, so perhaps another pattern can take its place? A penny for the thoughts of Sam Raimi, director of the original Spider-Man movies, should he have happened to watch the new trailer for Sony’s Venom this week. For the first instalment in the studio’s own Marvel universe (not to be confused with Marvel’s own Marvel Cinematic Universe, owned by Disney) looks like just the sort of movie Raimi would have chopped his own hand off to be given the chance of directing. Raimi was cast aside by Sony after the critical drubbing received by 2007’s Spider-Man 3, even though that movie’s well-documented problems (mainly involving Venom) were allegedly not all of his making. He appears to have been in the directorial sin-bin since 2013’s middling Oz the Great and Powerful, so it is ironic that the studio now seems to be moving its superhero movies in the kind of comedy-horror direction that would have been second nature to the creator of Evil Dead II and Drag Me to Hell. I like this new Venom trailer. The previous one was the very definition of the disappointing teaser – lots of gurning Tom Hardy doing his arty-weirdo thing and very little of the horrifying symbiote. 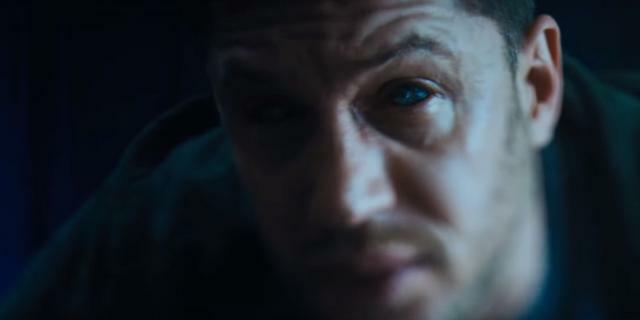 As Hardy makes clear in the trailer, Venom isn’t only journalist Eddie Brock, it’s also the horrific, glistening mask of alien teeth. Finally we get to see both, and it turned out all Sony had to do to get us excited about this movie was show us the money. It makes sense why the studio has plucked Ruben Fleischer from Hollywood purgatory, where he had been languishing since 2013’s Gangster Squad, to direct Venom. Fleischer’s Zombieland (2009) is a rare example of the perfect blend of horror and comedy, a worthy successor to Raimi’s late-80s work. Venom snares his enemy in the much maligned Spider-Man 3. Photograph: Merie W Wallace/2007 Columbia Pictures Industries Inc. All Rights Reserved What a staggering feat of CGI-work the new Venom is, especially given how many superhero films over the past decade have been littered with dismal digital characters (hello, Justice League’s Steppenwolf). Originally pitched as a skewed send-up of the Spider-Man costume, Venom here has morphed into something altogether more odious and disgusting. There is even a hint of David Cronenberg’s body horror in the way the symbiote wraps itself around Hardy’s face. Funnily enough, the CGI work in Spider-Man 3 was one of the film’s best elements. It was that Venom’s origin story was relegated to one of several competing sub-plots which annoyed fans. Nevertheless, there looks to be a definite quality improvement in the antihero’s debut solo outing. Might Sony have stumbled on a new direction here, a darker tone to the films of the Marvel studio? In Mark Ruffalo’s Bruce Banner, a man whose fear of turning into the Hulk is so great that he admits to having tried to end it all, the MCU has occasionally explored the torment of a superhero browbeaten by his own powers. Venom looks like it will immerse itself in that ice cold pool of curdled existential dread, while at the same time having a whole lot of fun with the old twin-driver, Jekyll and Hyde concept. I criticized the last Venom trailer for, well, an absence of Venom. Without the titular creature, the film looked like just another bland sci-fi thriller, or in other words, a Cloverfield spin-off. Now that we’ve finally seen the creature’s face in full (check out the trailer here), we can rest assured that he looks badass. But now, there’s a much bigger concern - the writing. “The guy you work for is an evil person.” This is Tom Hardy’s first line of dialogue in the trailer, and I’m amazed he managed to say it with a straight face; Hardy really is a damn fine actor. It sounds like a line from the Star Wars prequel trilogy, and as the trailer progresses, the blatant exposition confidently continues. 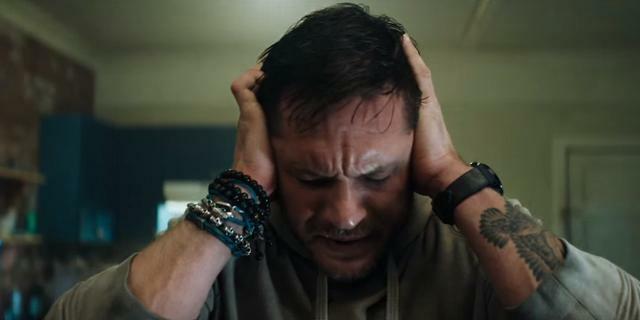 My personal favorite is Hardy’s hard-bitten reporter asking the tough questions, like: “What about the allegations that you recruit the most vulnerable, for tests that end up killing people?” In case you haven’t figured it out from this trailer, Tom Hardy’s character is good, and Carlton Drake is bad. You might even describe him as an evil person. Venom’s script comes from Kelly Marcel, the screenwriter behind the film adaptation of 50 Shades of Grey. Ouch. But in all fairness, we can’t really blame Marcel for that cinematic atrocity, as original author E.L. James reportedly didn’t allow a single line of her Twilight fanfiction to be changed in the adaption to the big screen. 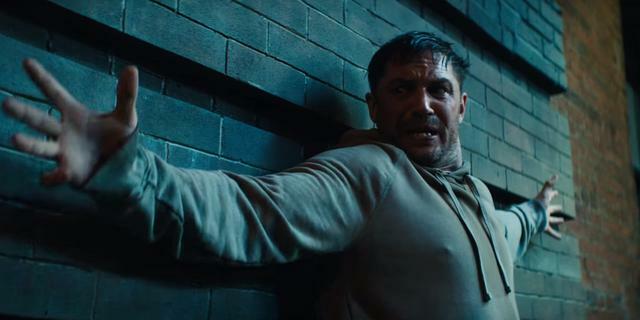 And who knows, perhaps E.L. James also had a hand in Venom; it would explain all the tendrils shooting out of Hardy’s body (and weirdly, straight through his clothes), which look almost like tentacle erotica. But the slimy tendrils are a necessary compromise, because this version of Venom doesn’t exist in the same universe as Spider-Man, and thus, didn’t inherit any of his cool web-slinging powers. His chest will presumably be devoid of any logo, and his major nemesis, not a superpowered do-gooder, but that that “evil person” Carlton Drake. I do quite like the internal struggle for control, and the conversations going on between Hardy and his “inner anti-hero.” It’s like Birdman, without the terrifying descent into mental illness. But something else that seems to be lacking is Eddie Brock’s dubious morality. From what the trailer tells us, this Brock is a genuinely nice guy, completely devoid of the violent rage that fueled the Symbiote (also, they pronounce Symbiote weird). That was kind of the point of Venom, no? That he walked the line between good and evil, between Spider-Man and Carnage. In the typically black and white world of comic books, he was quite a relatable figure, representing what many bitter, jealous people would do if they were suddenly imbued with superpowers. His struggle with the Symbiote was really a struggle with himself, not just an inner demon that has a will of its own. The future of the Marvel Cinematic Universe is at the forefront of conversations after the game-changing events of Avengers: Infinity War, and one of the main topics of those conversations is expansion. Sony's deal with Marvel Studios brought Tom Holland's Spider-Man into the MCU, and now the X-Men and Fantastic Four are on deck, thanks to the deal between Fox and Disney. ...But what about the characters in the gray areas? Sony's deal with Marvel was limited to sharing the Spider-Man character: Sony's larger Spider-Man Universe film franchise was not going to be part of the MCU, last we heard, and now Avengers: Infinity War director Joe Russo is once again confirming that's the case. Russo was doing a Q&A during an appearance at Iowa City High School, and was questioned about if and how the upcoming Spider-Man universe spinoff film Venom would connect to the Marvel Cinematic Universe. Russo's response quickly shut down any hopes Venom fans may have had: "No that’s a Sony property." This whole strange state of partial crossover between the Spider-Man franchise and MCU is one that seems destined to end badly for Sony. Response to Venom's first trailer has been mixed, and fan anticipation for other Spider-Man spinoff films like Silver & Black (the Silver Sable and Black Cat team-up) is pretty much non-existent. Even the Spider-Man animated film from Chris Lord and Phil Miller, Into the Spider-Verse, has generated much buzz; meanwhile, on the MCU side, Tom Holland's Spider-Man is being hailed as one of the standouts of Avengers: Infinity War, and anticipation for the sequel to Spider-Man: Homecoming is strong. Venom will see Tom Hardy step into the role of reporter Eddie Brock. When Eddie begins investigating the shady Life Foundation, a business associate of his girlfriend Annie (Michelle Williams), his life changes forever. 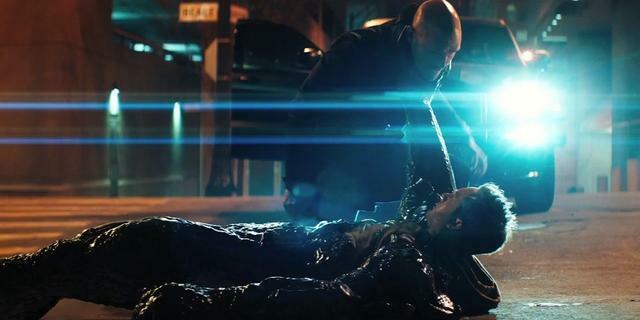 As it turns out, Life Foundation leader Carlton Drake (Riz Ahmed) has discovered an alien life form called symbiotes (Sym-Bee-otes), which can bond to human hosts and give them horrific powers. Eddie's investigation leads him to this dark discovery, and he ends up being an unwitting test subject for the symbiote bonding process. Soon after, Eddie discovers that the alien is a sentient figure now living inside of him, and when it comes out, Eddie becomes to the nightmarish monster known as Venom. 2commentsThis film will mostly be a standalone story, but it's expected to introduce some big Spider-Man comic book staples, like symbiote serial killer, Carnage. The fact that it seems destined to remain disconnected for Spider-Man and the MCU seems like a major waste. As a silver lining for fans: Tom Holland's Peter Parker should be popping up for a cameo. VENOM Trailer Breakdown - Details You Missed & Alternate Symbiote Theory! 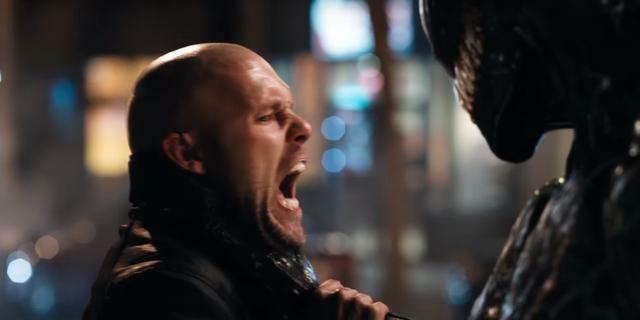 Speaking with Collider, Woody Harrelson confirmed he appears in a “fraction” of Venom, but will have a much larger role in a projected sequel. Whether Venom is or isn't in the MCU is still a big question-mark over Tom Hardy's upcoming superhero film, but even if it's not in a world of Asgardians and super soldiers, the spin-off can still feature some famous Spider-Man characters. Rumors continue to swirl that Tom Holland might make a cameo of some sort as the famous New York-based web-slinger - or his schoolboy alter ego - but there's been nothing concrete in that regard yet. Indeed, the friendly-neighborhood Spider-Man popping up in an R-rated vigilante flick might be a little tonally dissonant. Plus, in the current MCU canon, Spidey isn't feeling so good. For now, that's up in the air. Still, there are a lot of Spider-Man characters available for Sony to integrate into their Venom film, and the Ruben Fleischer-directed anti-hero thriller will surely have many opportunities to shine a spotlight on some fan-favorite Marvel faces, or even position further characters to springboard into their own movies. Sony is, after all, hoping Venom will start their own Spider-villain shared universe, with multiple projects in development; with the first set to be a hit, it would fit from the studio behind The Amazing Spider-Man 2. With that said, what Marvel characters would be tonally appropriate for the highly-anticipated dark and gritty take on this particular corner of the Spider-Man mythos? Even after the release of two trailers for the film, the plot of Venom is still mostly a mystery. In recent months, much has been made of rumors that Woody Harrelson might be playing Cletus Kasady aka Carnage in a small role which will be further developed in a prospective sequel. In the comics, Kasady is a serial killer who bonds with a Symbiote, much like how Eddie Brock bonds with one of the alien creatures. Unlike Brock, however, Kasady has no sense of morality and is an unrepentant murderer, a shameless evildoer with no redeeming qualities. For lack of a better word, Carnage is a monster; he's also one of the most popular Spider-Man villains. If the reports are true, then Venom is taking a bold move by not making full use of Carnage straight away. After all, a showdown between the two would be the obvious story for an all-in Venom movie, and holding back as a sequel tease risks Harrelson's part never being resolved. Then again, perhaps Carnage will have the opportunity to shine in the Venom film, emerging as an unexpected third-act foe, like Harvey "Two-Face" Dent in The Dark Knight. Whatever the case, it's expected for Carnage, in one form or another, will have a part to play in Venom. While Venom's status in the MCU is still unclear, with its eventual quality possibly dictating how it relates to the main Spider-Man canon, that doesn't mean it isn't already part of another shared universe. 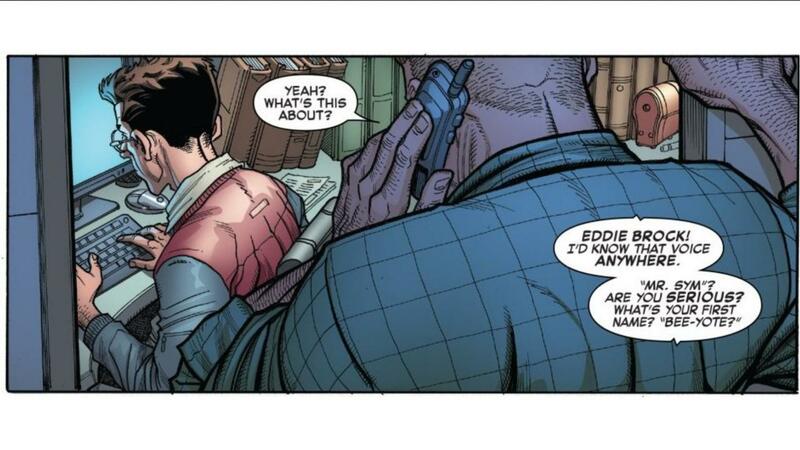 While expecting Nick Fury to recruit Eddie Brock is foolhardy, there are other characters who could appear. In addition to Venom, Sony is currently developing multiple other spin-off films, including Silver & Black and Morbius (although the former was recently undated). A film based on Kraven the Hunter has also long been rumored, and is possibly the reason the character was unable to appear in Black Panther. Of course, Sony would be wise to avoid over-stuffing Venom with teasers for what's next, instead integrating the characters in the story. Given that there's no casting for any of these yet, it would have to be a cameo, but in a secrecy-heavy era of moviemaking, that's always possible. If director Reuben Fleischer can find a clever way to introduce those characters without reducing Venom's ownership over the film which bears his name, then maybe it wouldn't be such a bad idea. Venom will be loosely adapting the Lethal Protector comic book arc, which means The Life Foundation will play an important part in the film's story. They acquire the Symbiote and use it to conduct horrible science experiments on people. Eddie Brock is hot on their trail, investigating their heinous misdeeds, but winds up captured and subjected to illegal and amoral experimentation, ultimately leading to his rebirth as Venom. Riz Ahmed is playing the boss of The Life Foundation, Dr. Carlton Drake. In the comics, he transforms into the downright terrifying creature, Homo Arachnis, a decidedly more monstrous kind of "Spider Man?". That would definitely be a striking turn for the film, although perhaps too much as a key villain. Other characters associated with The Life Foundation include The Jury (a group of contracted mercenaries with high-tech combat gear) and The Five Symbiotes, a team of alien-enhanced soldiers. Of these Symbiote soldiers, the most popular is easily Scream, AKA Donna Diego. Donna will appear in Venom, played by Michelle Lee, although it remains to be seen if she will be consumed by a Symbiote in the film. In the Spider-Man mythology, Eddie Brock is a reporter for The Daily Globe who accuses the wrong man for the recent spate of Sin-Eater killings. Spider-Man catches the real murderer, and Brock is disgraced. He vows revenge on Spider-Man, just in time to be corrupted by Spidey's discarded Symbiote suit. This storyline was loosely adapted for the 2007 Spider-Man 3 film, with several changes. He doesn't accidentally accuse the wrong man, but actively conspires to smear the good name of Spider-Man with fake photographs depicting the hero committing crimes. He also works alongside Peter Parker the Daily Bugle, a newspaper which, surprisingly, has yet to appear in the Marvel Cinematic Universe. The lack of the Daily Bugle in the MCU has been chalked up to Tom Holland's more youthful take on Spidey and the tough task of recasting legendary casting of J.K. Simmons as the paper's bombastic editor, J. Jonah Jameson. Even with bold re-castings like Don Cheadle as War Machine and Mark Ruffalo as The Hulk, J.K. Simmons' iconic portrayal of JJJ is a tough act to follow. He didn't even appear in Marc Webb's The Amazing Spider-Man films. That absence and Venom's unclear MCU state mean that it would be easy to work in the Daily Bugle as a background presence. 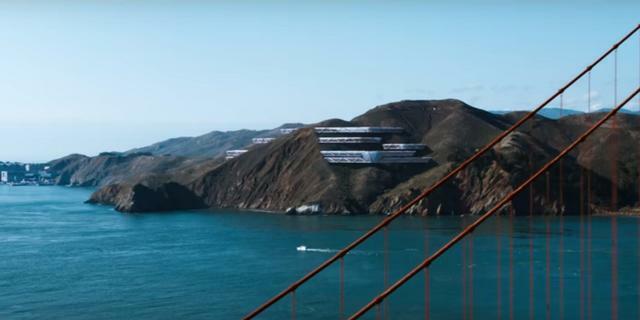 Of course, the film is set in San Francisco, although in the modern age that's no barrier to newspaper distribution. If there is a New York presence, that further leaves the door open for NYC-based characters like Jameson, Robbie Robertson, or even Dexter Bennett, who notoriously bought the Bugle and turned it into a shady gossip rag. There's a lot riding on Venom. It's promising a comics-accurate version of one of the most popular anti-heroes ever written, and is aiming to be the film which finally transforms Tom Hardy from a top-tier character actor to an A-List leading man. If the film includes a plethora of Marvel characters in roles both large and small, one can only hope it does justice to the decades of comic book history being represented. Time will tell if Venom lives up to its massive potential and the palpable hype of its marketing campaign. 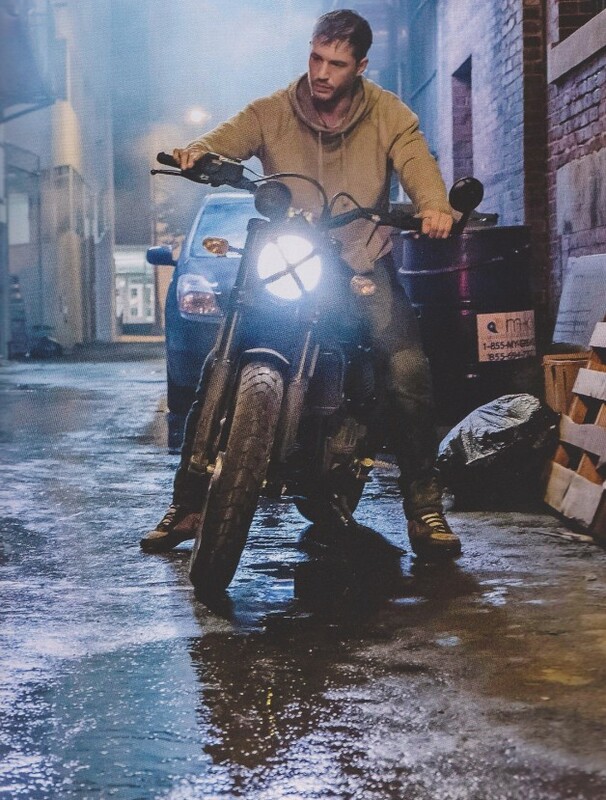 From the footage we’ve seen so far, we know that Tom Hardy’s Eddie Brock will be fleeing from pursuers on a motorbike at some point, so no doubt we can tie this scene in, but come on…just show us a bit more of the titular symbiote already. Whether this approach of less is more will whet fans’ appetites to book tickets to see the anti-hero on the big screen still remains to be seen, but one thing’s for sure – just like the alien himself, we’re all salivating at the prospect. Directed by Ruben Fleischer of Zombieland and Gangster Squad fame, and written by Scott Rosenberg, Jeff Pinkner and Kelly Marcel, Tom Hardy will be wrangling one of the most beloved anti-heroes in all of comics when Venom slithers into theaters on October 5th.